As you might expect, the name "rose cocktail" is very popular. Even among the earliest bartending guides written a century or more ago, there are a number of drinks that took on the name. Generally, in these classic rose cocktail recipes, brandy of some sort is the common factor and that's exactly what you'll find in this variation on the gin martini. 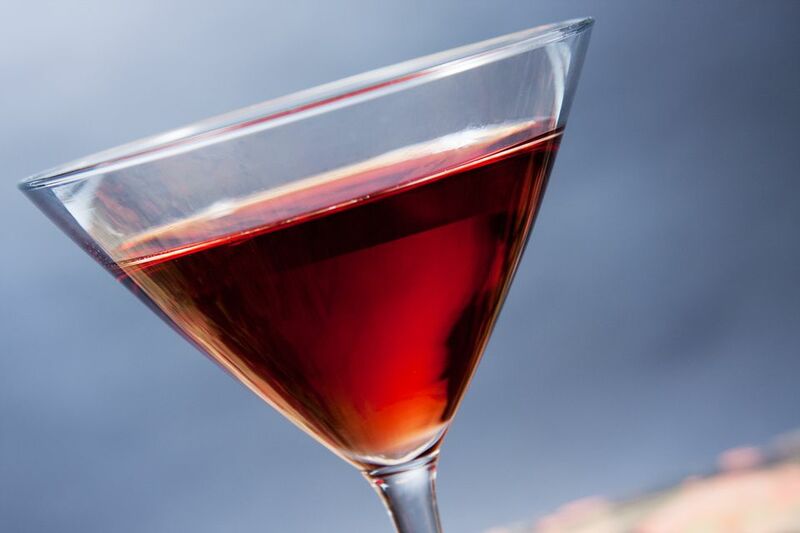 In this rose cocktail, which is sometimes referred to as the "French rose cocktail," a little cherry brandy is added to the famous gin-vermouth cocktail. It gives the cocktail the slightest hint of fruity sweetness, which is quite lovely and it makes a wonderful aperitif. You do need to be careful, though. Many of today's "cherry brandies" are actually sweetened liqueurs with a vodka base and that was probably not the original intention for this cocktail. To keep the taste authentic, you'll want to seek out a true cherry brandy, such as kirschwasser (kirsch, for short) or an eau-de-vie. Just like any martini, your rose cocktail will taste better if you use a premium gin. Dry gins are going to stand up very well against the cherry brandy, so a good London dry gin, or something similar, would be an excellent choice. The most important thing to remember about dry vermouth is that it will go bad. Once the bottle's open, you have two to three months to enjoy it before the flavor will start diminishing. Also, it's best kept fresh in the refrigerator. If your current bottle of vermouth doesn't meet that criteria, it's probably time to pick up a new one. As an alternative to a true cherry brandy, opt for maraschino liqueur. It is the cherry-flavored liqueur with the driest profile and will produce a very nice rose cocktail. In the "Old Waldorf-Astoria Bar Book," you will find a rose cocktail that is simply a mix of Grand Marnier (the brandy-based orange liqueur) and dry gin, stirred. Other classic cocktails, including satan's whiskers and the leap year, bring vermouth back into the mix. The International Bartender's Association (IBA) lists a rose cocktail under "Contemporary Classics" in its official cocktails list. That recipe is distinctive because of the strawberry syrup. To make it, shake 1/2 ounce kirsch, 1 1/2 ounces dry vermouth, and 3 dashes of strawberry syrup. Strain it into a chilled cocktail glass. The English Rose is more popular than the French version in bartending guides. This one employs apricot brandy and adds lemon juice and grenadine for an interesting sweet-sour twist on the martini. How Strong Is a Rose Cocktail? Considering that this cocktail is made entirely of liquor, it should not be a surprise that it's a strong drink. On average, the rose cocktail should have an alcohol content around 27 percent ABV (52 proof), which is typical of classic martini-style drinks.